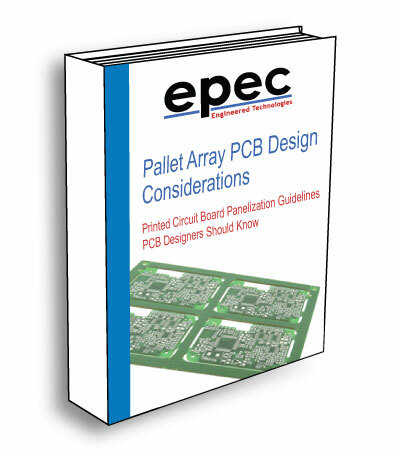 Inside our Pallet Array PCB Design Considerations Ebook, you will learn several advantages to manufacturing your printed circuit boards in a panel array. These considerations are not meant to be a comprehensive how-to. Rather, the examples explain the various panelization methods used in circuit board design. Understanding the advantages of manufacturing your circuit boards in a panel array will help you to determine how panelizing your design can offer efficient and trouble-free handling throughout bare PCB fabrication and assembly. Fill out our short form to receive your FREE copy!